A mischievous clown fish broke into a group of puffers's area, so wonderful things happened. . . Pop Puffer is a casual game. 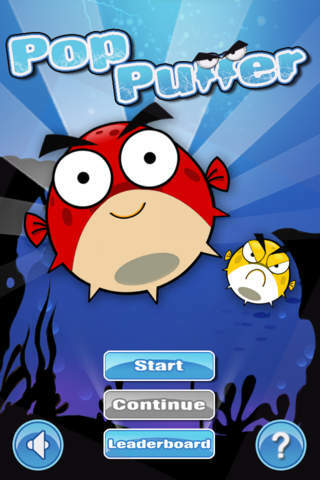 Simply choose a comfortable sitting position, tilting your iPhone or iTouch, the clownfish will wagging his tail to swim. 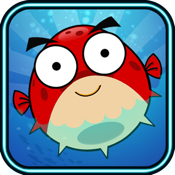 Make your little clownfish rush the puffers to make the same color puffers together. Try to make it in limited time. Note, hitting puffer fish of different colors together will make them angry, when they disappearing the blast explosion will hurt your clown fish, so, be careful. Come on,Chanllenge your balance,and enjoy the Sprightly rhythm and funny sounds.